…the idea of an annual day specifically celebrating the Flag is believed to have first originated in 1885. BJ Cigrand, a schoolteacher, arranged for the pupils in the Fredonia, Wisconsin Public School, District 6, to observe June 14 (the 108th anniversary of the official adoption of The Stars and Stripes) as ‘Flag Birthday’. …Flag Day…was officially established by the Proclamation of President Woodrow Wilson on May 30th, 1916. While Flag Day was celebrated in various communities for years after Wilson’s proclamation, it was not until August 3rd, 1949, that President Truman signed an Act of Congress designating June 14th of each year as National Flag Day. I wouldn’t call myself patriotic, but I did have a nice photo of the flag to share. I thought today would be an appropriate day to do so. 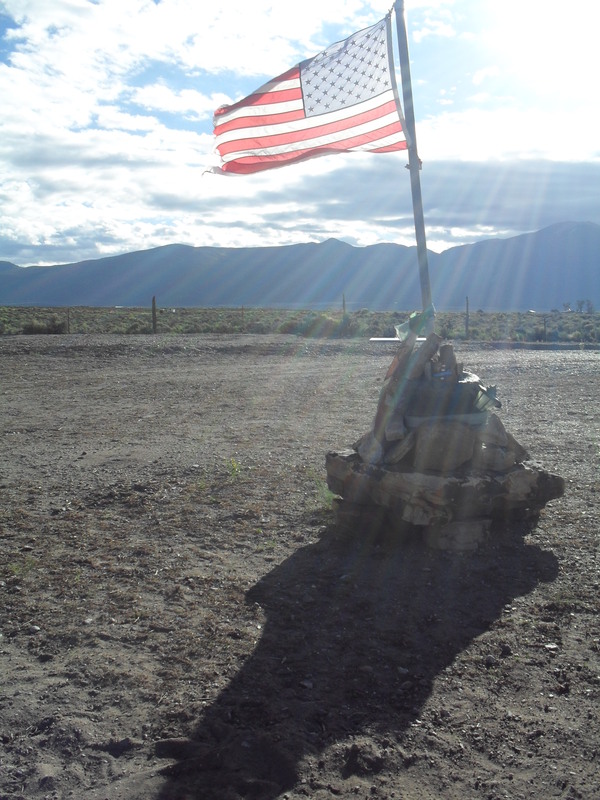 I took the photo in this post a few years ago on my friend’s land in Northern New Mexico. Those are the Sangre de Cristo Mountainsin the background.